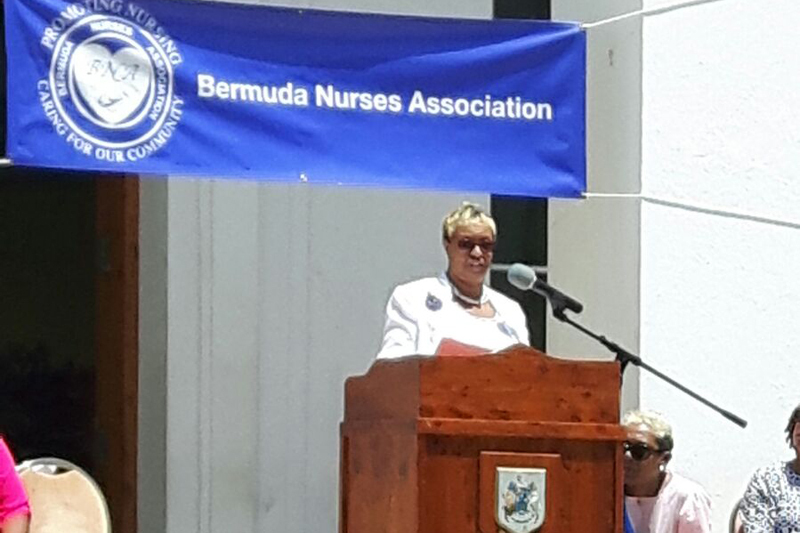 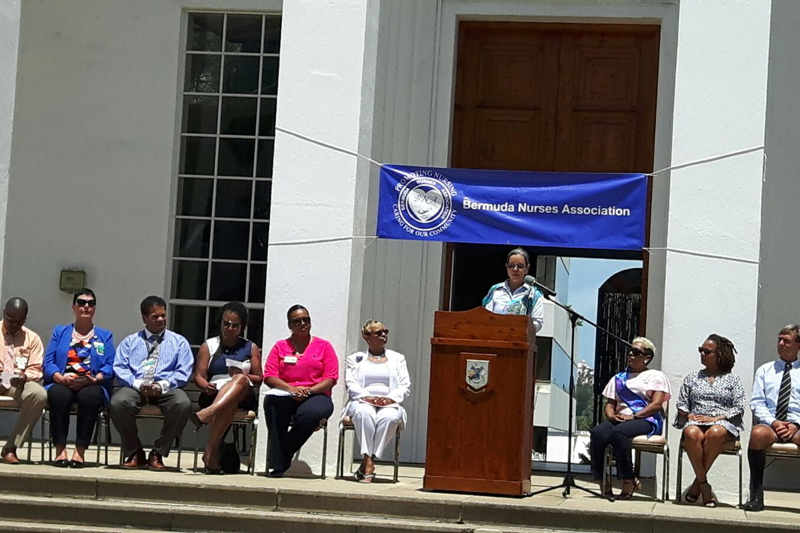 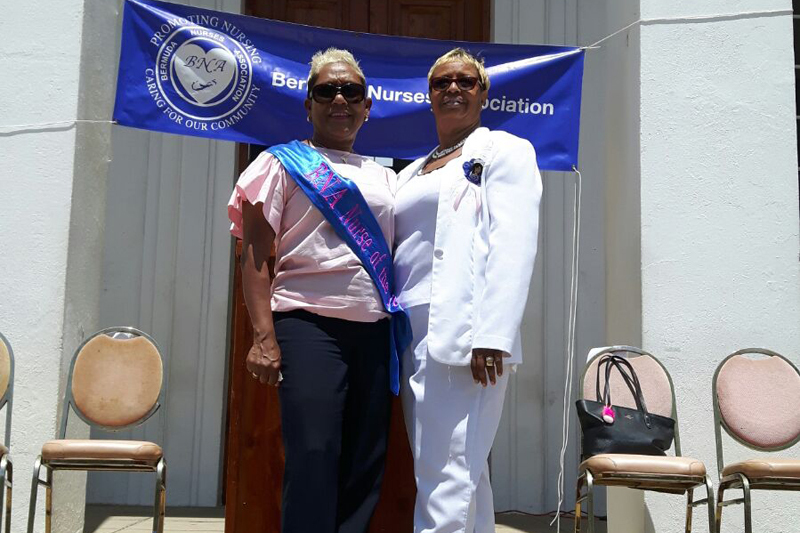 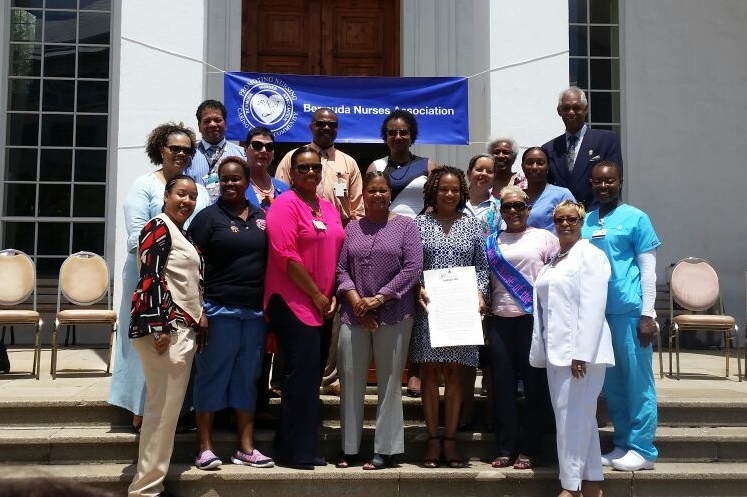 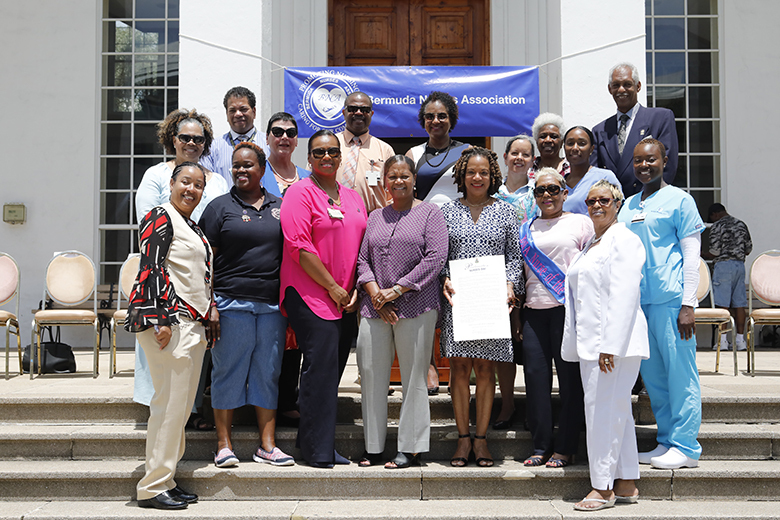 Minister of Health Kim Wilson recently helped to honour Bermuda’s nurses, reading a proclamation that recognised Saturday, May 12 as International Nurses Day, and the month of May as Nurses Month. 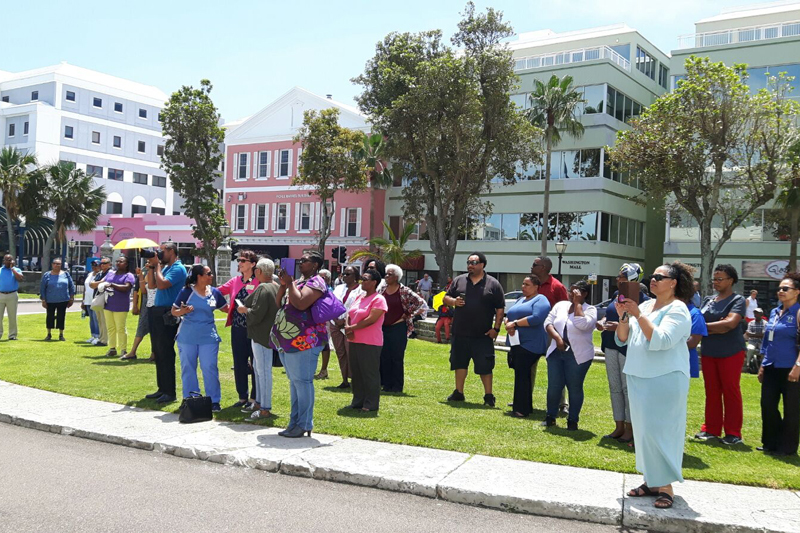 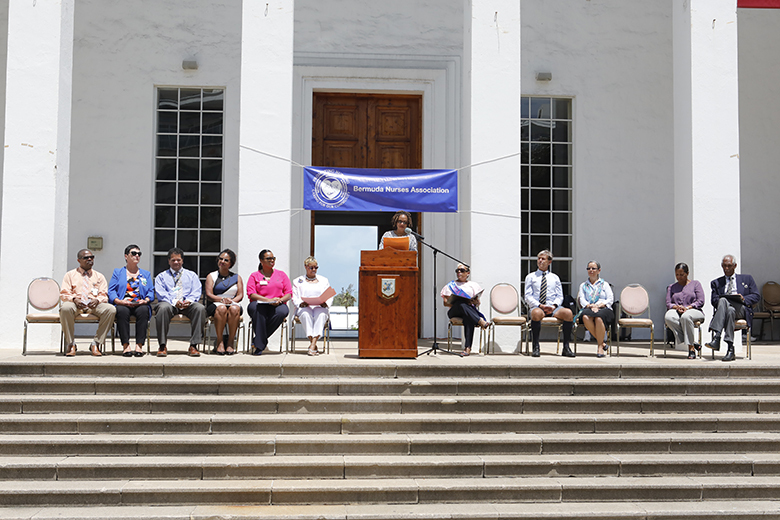 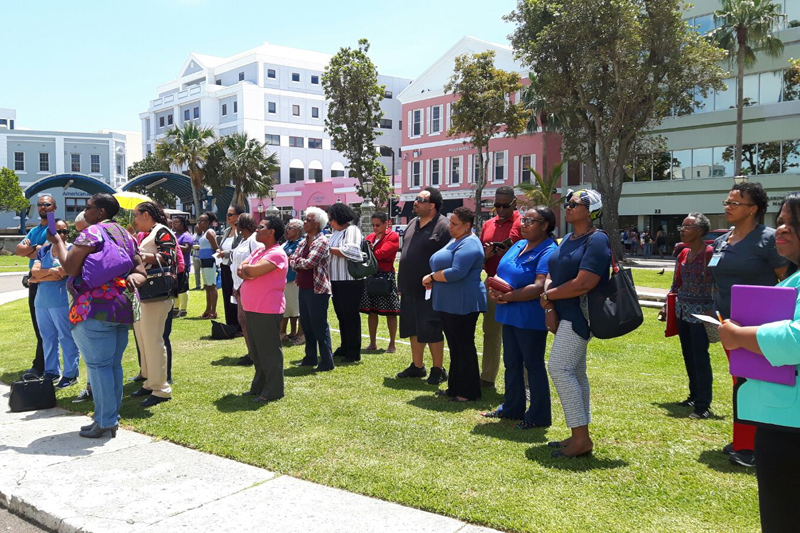 A Government spokesperson said, “The Minister read the proclamation from the steps of City Hall, accompanied by members of the Bermuda Nurses Association Executive Committee, the City of Hamilton Councillor Henry Ming and the Director of the Department of Health David Kendell. 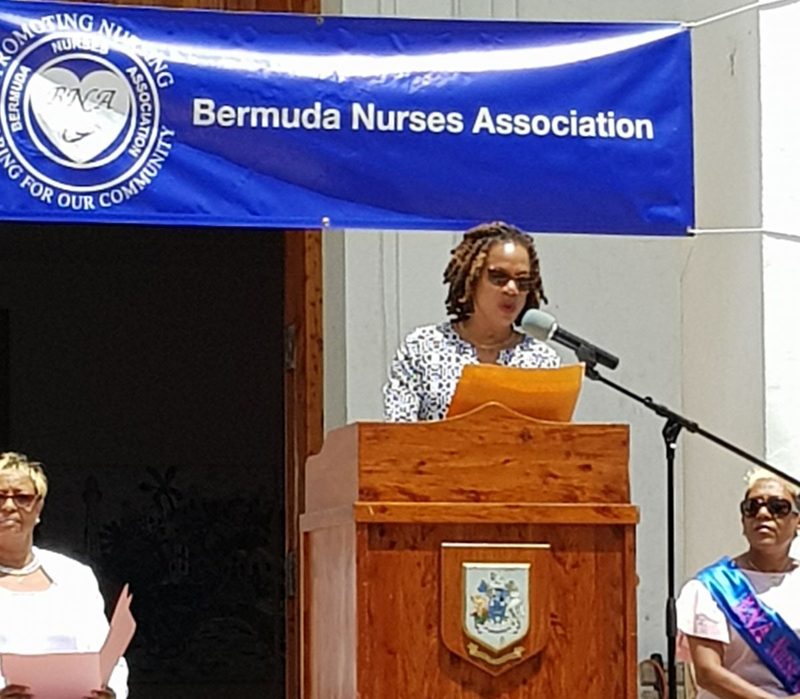 “The Bermuda Nursing Council has more than 800 people registered as nurses in the island, but the proclamation pointed out that more qualified registered nurses will be required in the near future to meet the increasingly complex needs in the community. 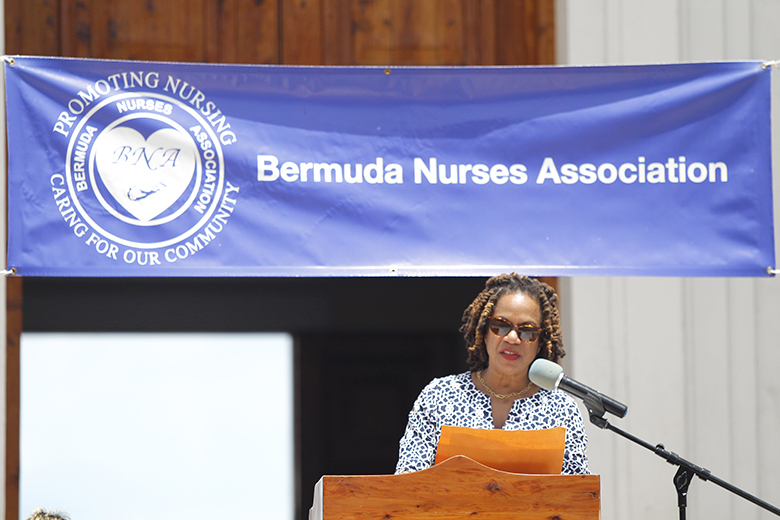 “It was further noted that demand for nursing services will soon be greater than ever because of Bermuda’s ageing population, the continuing expansion of life-sustaining technology, and the growth of home healthcare services. 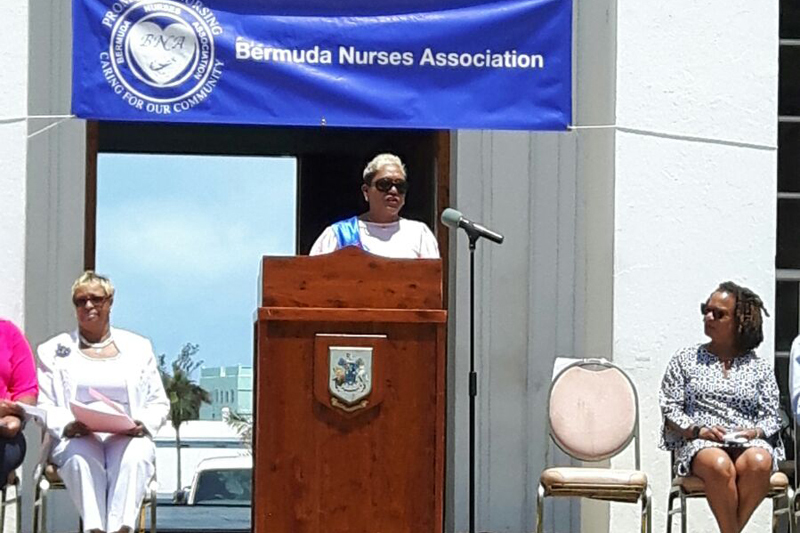 “A renewed emphasis on affordable, accessible and quality healthcare will require expanded utilization of all the Island’s nursing resources.